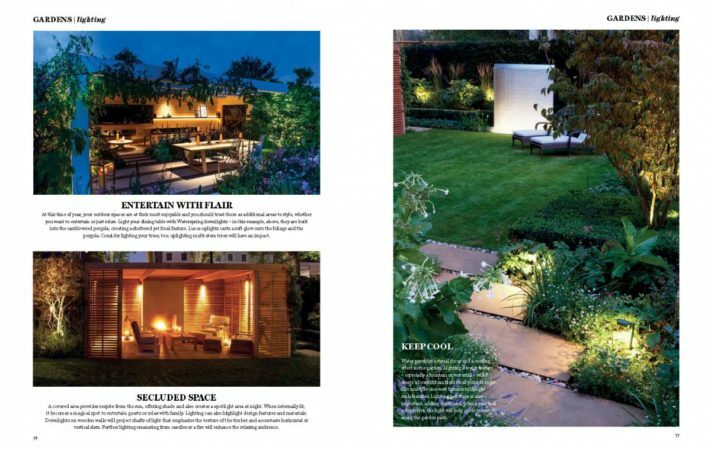 Our Creative Director, Sally Storey, shares her top garden glow tips in the April issue of InsideOut Arabia, advising how to achieve stunning ambience in a garden. 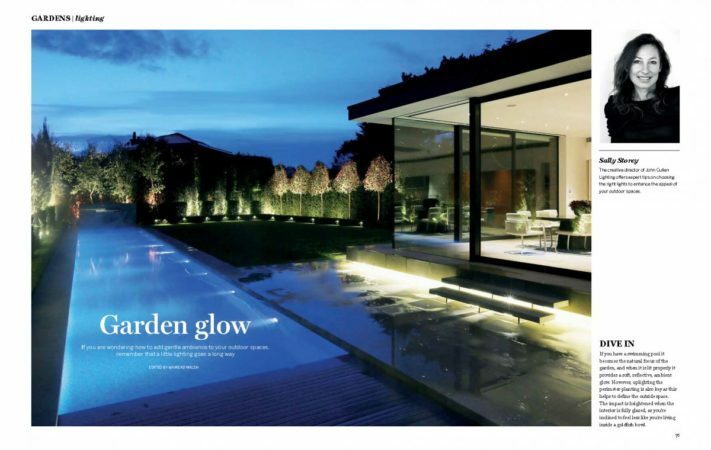 Swimming pool usually becomes a natural focus of the garden, and when lit properly it provides a soft, reflective, ambient glow. Uplighting the perimeter planting is key as it helps to define the outside space. If your interiors are fully glazed, lighting your garden helps you avoid the feeling of living in a goldfish bowl. Your exteriors can be an extension of your entertainment and relaxation space. Use a few simple tricks like lighting your table with Waterspring downlights or lighting the trees, to add more drama and mystery to your space. Turn your veranda into a spotlight area at night by using downlights to highlight wooden walls. It not only emphasises the texture, but most importantly adds a feeling of cosiness at night. Lighting a water fountain will provide a beautiful ambient focal point at night. Light your pathways to add depth to your exteriors, which will also help guide your guests along the garden at night. Find more of lighting tips here, or to browse our full portfolio of stunning exterior projects.